Yesterday evening 39 boats had arrived at Sandhamn at the end of the Eurocard Gotland Rund. All 14 in the 'Classic Baltic Race' have finished with Kerma as winner with skipper Claes Ahlin. On course Charlie, four boats had finished at Skanskobb: Fram XVI, Royal Blue, Camilla and Amber Sail. Of the 106 boats sailing course Alfa, 22 finished last night. In the SRS Alfa 1 13 boats have finished with Vindile on first position so far. On SRS Alfa 2 MK Produkter is the only boat to have finished and in the ORC International nine boats have arrived at Sandhamn, Prospect of Whitby was followed by Xplorer. So far no boats have finished on the Bravo course, mainly due to the Doldrums-like conditions. In the SRS-class 17 have rounded Gotska Sandön with Du får af Matrisen in the lead followed by skipper Anna Drougge on Perfect. The boats are expected to arrive around 9pm subject to wind conditions. In the IRC class 17 have rounded Gotska Sandön with Ellvann in first followed by Krut and Avantime 3. In the ORC-class 19 boats have rounded Gotska Sandön with Du Soleil in the lead , but Datacom has sailed professionally so there might well be an exiting fight tonight. By midnight they are expected to Sandhamn. Around 8pm Niklas Zennström on his Yani in the IRC Class is expected to finish and between 10pm till 8am Saturday morning approximately 140 boats will arrive at Sandhamn. 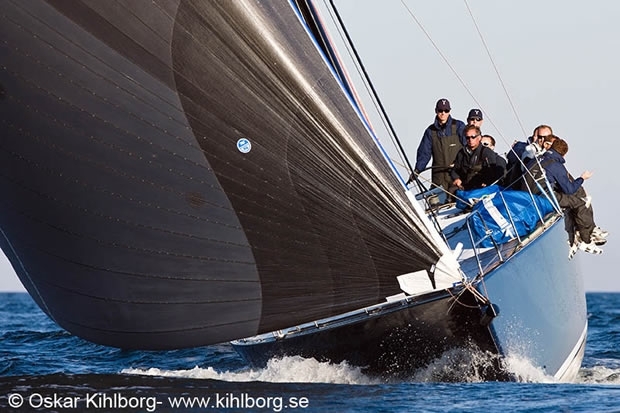 Saturday morning update: The winner was of the ORC International Class has been announced as being H.M. King Harald V of Norway aboard his TP52 Fram XVI.